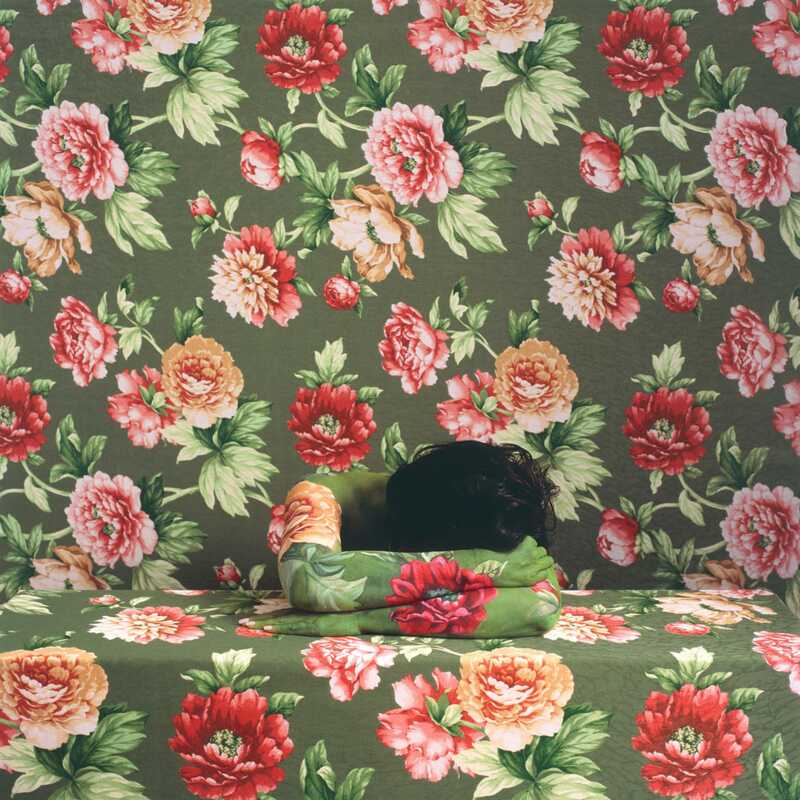 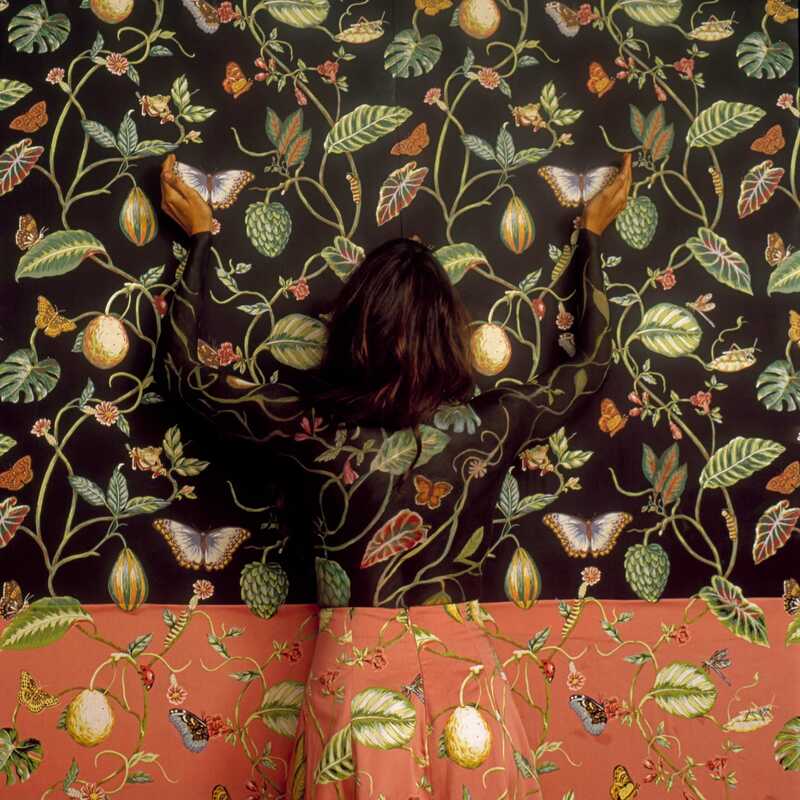 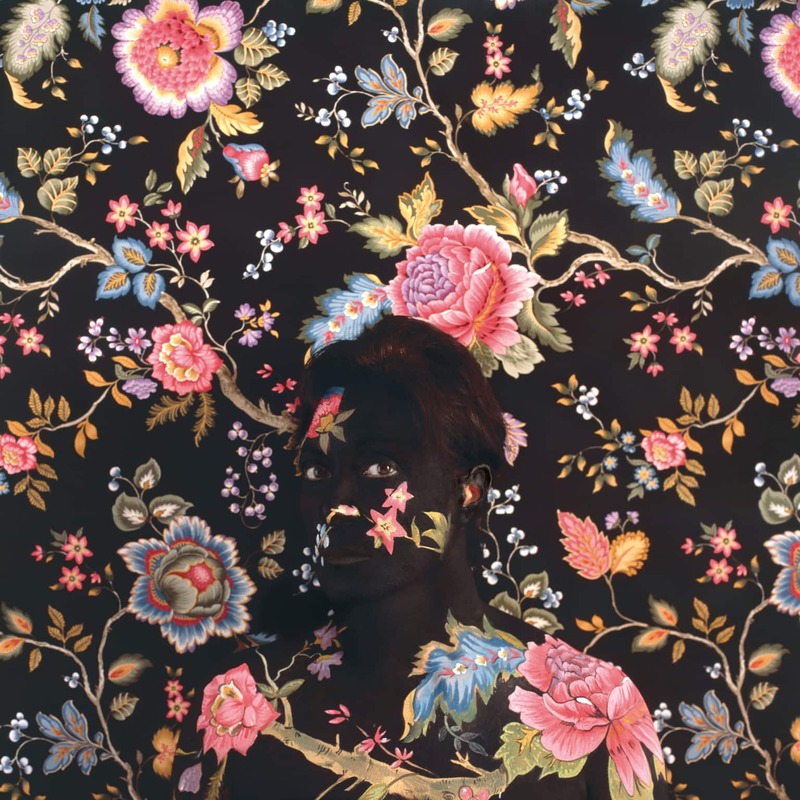 Cecilia Paredes is a Peruvian artist whose hard to find… You have to look closely into her picture of walls and floral patterns to discover her, at the curve of an elbow or stroking a hair with the eye. 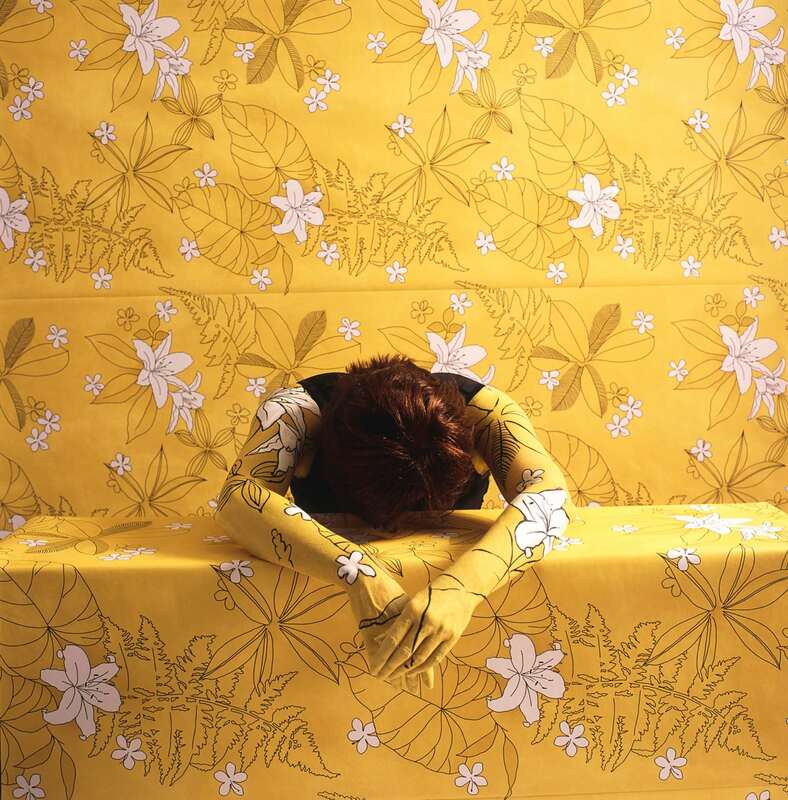 Her project is simple : to partially and continuously rebuild the identity on behalf of the landscape she drawn. 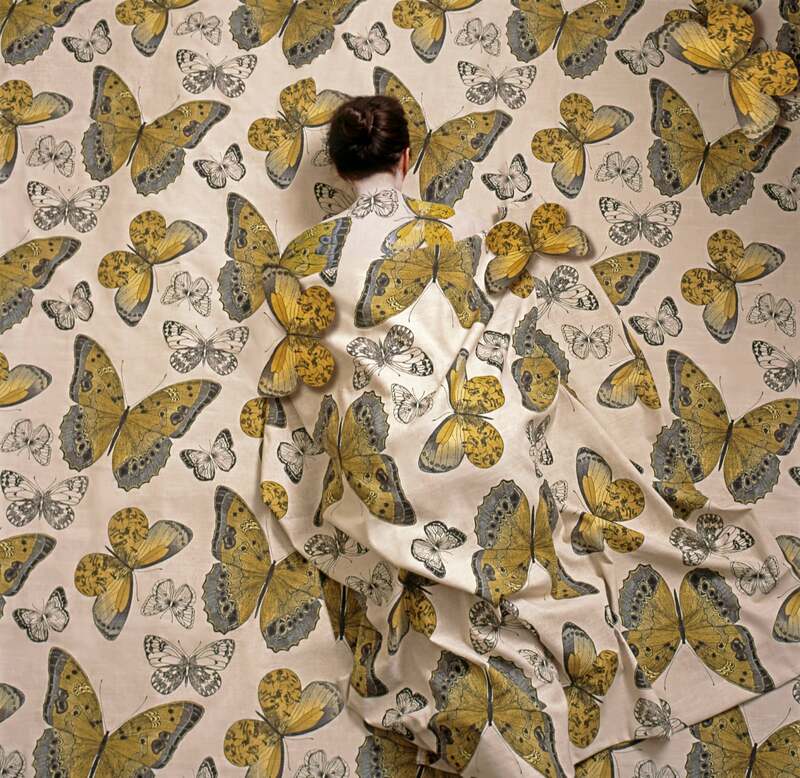 It is about adapting the flesh, its appearance and also what it symbolises, to the setting ; but not as a chameleon, more as a wish to fade into the setting, to make one body with it, as a way to keep rooting in changing worlds. 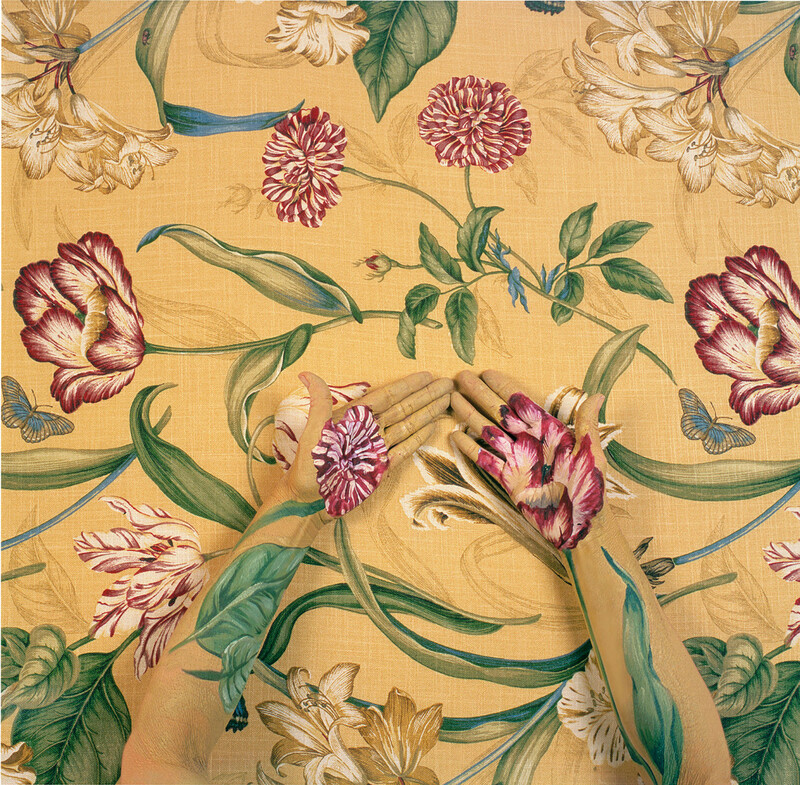 These inner landscapes are flying birds or green branches, and always the artist’s body finds it way into it.